Transcranial low-level infrared laser is a modality of therapy based on the principle of photons delivered in a non-invasive manner through the skull for the treatment of some neurological conditions such as psychological disorders, traumatic brain injuries, and neurodegenerative diseases among others. In the present study, effects of low-level infrared laser irradiation with different radiation powers (80, 200, and 400 mW, continuous wave) were investigated on normal animals subjected to forced swimming test (FST). Results indicated that there are changes in FST parameters in animals irradiated with laser; the lowest dose provoked a significant increase in animal activity (swimming and climbing) and a significant decrease in animal’s immobility, while the highest laser dose resulted in a complete inverse action by significantly increasing animal immobility and significantly decreasing animal activity with respect to control animals. The lowest dose (80 mW) of transcranial laser irradiation has then utilized on animals injected with a chronic dose of reserpine (0.2 mg/kg i.p. for 14 days) served as an animal model of depression. Laser irradiation has successfully ameliorated depression induced by reserpine as indicated by FST parameters and electrocorticography (ECoG) spectral analysis in irradiated animals. 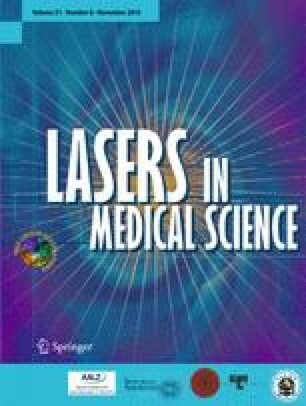 The findings of the present study emphasized the beneficial effects of low-level infrared laser irradiation on normal and healthy animals. Additionally, it indicated the potential antidepressant activity of the low dose of infrared laser irradiation. The author would like to thank all staff members at Basic Science Department, Faculty of physical therapy, Cairo University for their help during the course of this study.